Back in 1998 Keurig® introduced the world to the K-Cup®, a self-contained brewing systems for coffee, tea and hot chocolate. This single serve coffee took off and grew to be extremely popular worldwide. This way of brewing fresh coffee has revolutionised the way people drink their warm beverages. If you are keen on recycling, here is a guide to reduce the amount of K-Cup® waste that ends up in landfills. This part of the K-Cup® is simple to recycle. Pierce the foil on top of the pod with your finger and peel it all off. Gather your foil lids in a container until you have a big enough collection. Press them together before tossing them into normal recycling. Your coffee grounds are a great addition to any compost heap. The filter is made out of paper and can be recycled as such. To remove the filter, pull on the side of the filter until it separates from the shell. Once you have removed the aluminium foil and the K-Cups® contents, you are able to recycle the plastic. When recycling, ensure that you remove as much as the food particles as possible. Once you have emptied the grounds, rinse the foil, filter and cup under running cold water. At The Coffee Delivery Company, we pride ourselves on quality coffee products and machines. As our name suggests, we deliver coffee to your office doorstep. 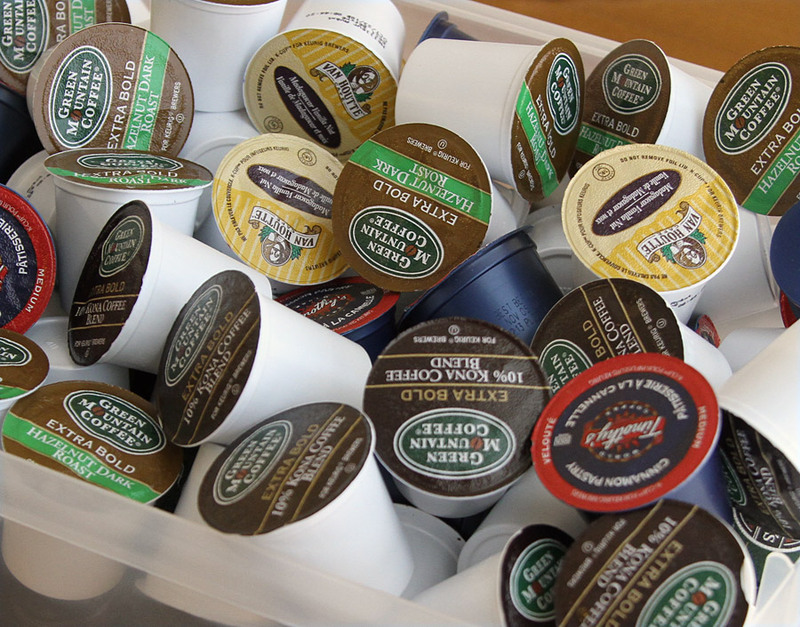 We stock a wide selection of K-Cups® that will leave you on a high note every day at work. If you are interested in any of our products, please do not hesitate to contact one of our customer service team on 0330 123 3309. Alternatively, you can fill out our contact form here and we will get back to you.